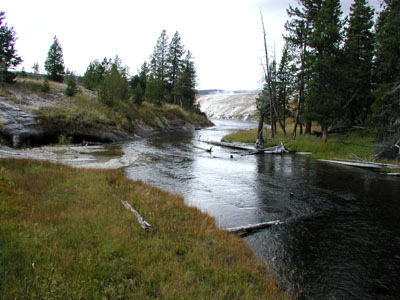 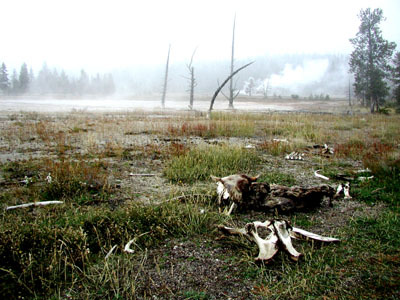 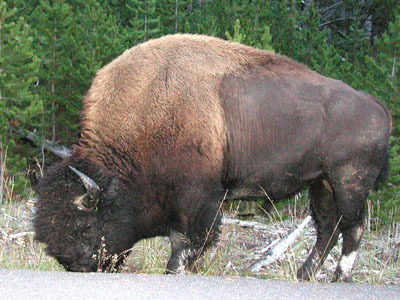 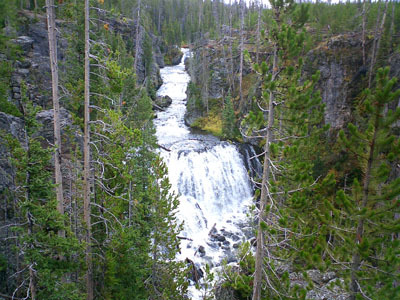 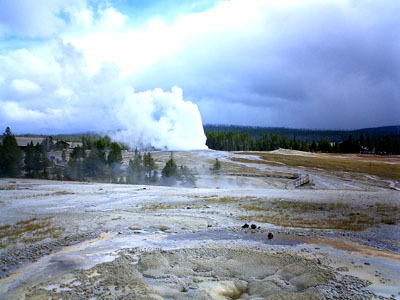 Next stop is the Upper Geyser Basin, which includes Old Faithful Geyser. 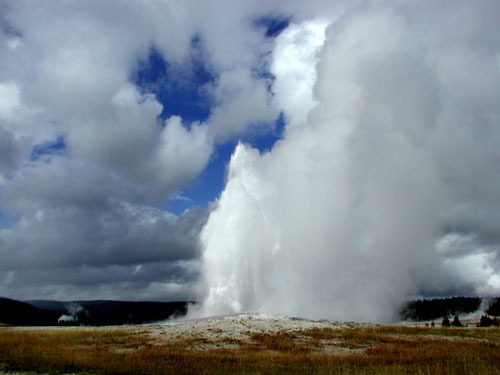 Old Faithful Geyser frequently erupts with its average interval, 94 minutes. 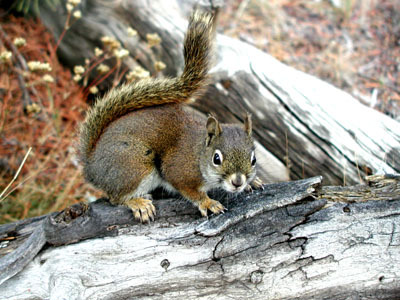 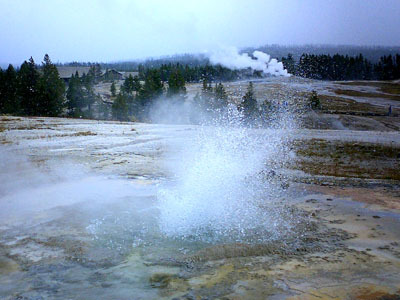 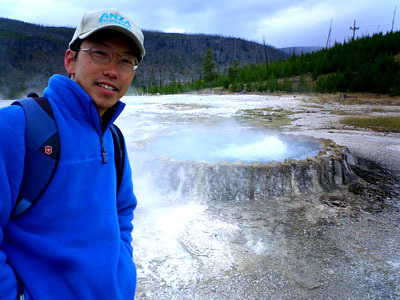 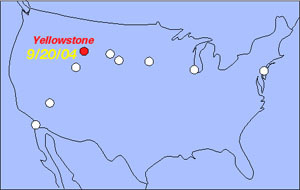 Upper Geyser Basin has the largest consentration of geysers in the world. 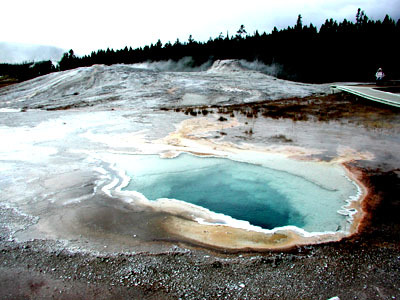 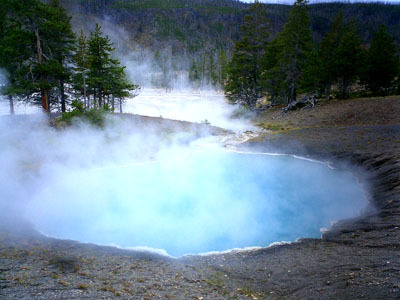 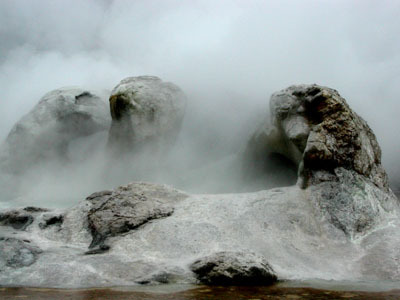 Within a few hours, you will see so many geysers and springs in this area. 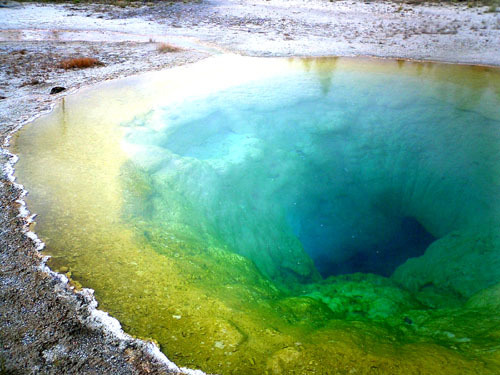 Your main menu could be Morning Glory Pool, whose remakable colors are in danger due to behavior of thoughtless people.